Citrus zest gives these delicious little cupcakes a refreshing, aromatic flavor. The recipe is also relatively light because yogurt and vegetable oil replace butter. If you're looking for a healthier way to prepare breakfast muffins or mini cupcakes (teacakes), this is it. The recipe is versatile enough to make blueberry muffins (simply add a cup of fresh berries to the batter). 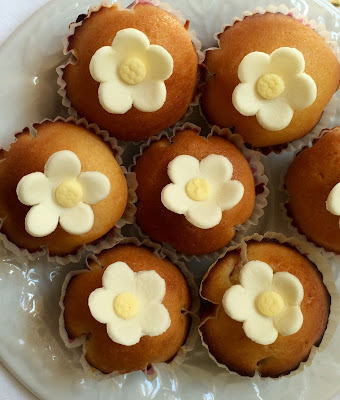 If serving with tea or coffee, the mini teacakes are an even more wonderful treat when finished with lemon glaze. Another option is to use a loaf pan to bake a classic lemon pound cake. 1.) Preheat the oven to 350 degrees Fahrenheit. Place cupcake liners in your muffin or mini-muffin baking pan. If preparing as a pound cake, grease an 8" x 4" or 9" diameter loaf pan and line the bottom with parchment paper. 2.) Sift together the flour, baking powder and salt in a large bowl. In another bowl, whisk together the ricotta cheese, sugar, eggs, lemon zest and vanilla. 3.) Slowly whisk in the dry ingredients into the wet ingredients. 4.) Use a spatula to fold the vegetable oil into the batter, making sure it's well blended. 5.) Pour the batter into the pan and bake for about 50 minutes, until a cake tester (pricked into the center of the cake) comes out clean. It's best to enjoy the fresh-baked cake just-out-of-the oven!